When Viswanathan Anand settles down in front of Magnus Carlsen and a chess board at Sochi on November 7, a part of him will heave a huge sigh of relief. It may not show on his face, it may not even show in his play but he'll allow himself a few satisfying seconds of selfish pride -- his amazing comeback journey over the last year already counts as a win and now, he has a chance for revenge. The laptops are shut for now. The preparation camps are over. The chess pieces have been packed away. 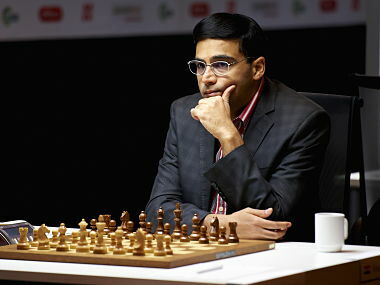 Now all India's Super GM needs to do is beat Norwegian whiz Carlsen and regain the world crown. It sounds simple enough -- writing the words down that is -- but as we saw during the 2013 World Championship match between Viswanathan Anand and Magnus Carlsen, things don't always go according to plan when the Norwegian is involved. "Chennai is a closed chapter. Lesson learnt and book closed. Sochi is a new match... a new challenge," Anand told Firstpost as he embarked on another world championship challenge -- one that no expected him to be capable of. It is clear that he has elected to banish those memories forever, a match in which Anand never got out of the starting blocks. They sparred in the initial rounds -- Carlsen looked to stretch the games for as long as possible and Anand appearing to just vaguely float away, going where the current would take him. Then, Carlsen attacked and Anand had no answer. After that, much to the disappointment of all those watching, it became a one-sided battle pretty quickly. The match was an anomaly, the likes of which the chess world had not seen before. It was expected to be a battle between experience and youth; between generations. But by the time it was over -- Anand seemed to be a broken chess player. His ideas and innovations had come up short. His preparation had been shown up to be woefully inadequate. "It was un-nerving in a sense made me question myself; made me question my chess. But then I came to the realisation that worry never helps you. The more you think about it, the more you get pulled down in the muck. It’s like quick sand – the more you struggle, the faster you sink," Anand had told Firstpost in an interview later. And then, just like that, he revived himself with some stunning chess. He won the Candidates without losing a single game (the only GM not to lose a game at the event) and clinched the title with a round to spare. In the lead up to the return match against Carlsen, Anand also placed a decisive first at the category 21 Bilbao Masters (September), winning with a round to spare in the six-game round robin event. On the other hand, Carlsen doesn't seem as invincible as he once was. If anything, he seemed a little distracted. Fabiano Caruana has drawn closer, Veselin Topalov has hit 2800 again. Perhaps, his level isn't as high as it was a year back. Perhaps, it's dropped a little. And to some, that is good news for Vishy. But Anand reckons that these results -- while they give him a lot of confidence -- count for little in a World Championship match. 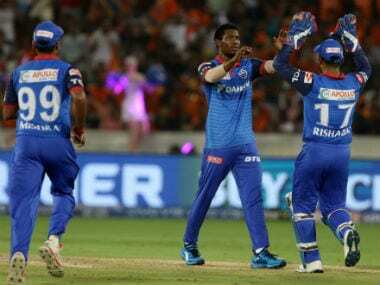 "I was happy to be back in championship mode almost months after Chennai. So I enjoyed training and preparing for Sochi. It doesn't matter if you are challenger or a champion. It's either him or me in Sochi. So i'm happy to take my chances," he said. "I was happy to do well in Khanty and fairly satisfied with my chess. So I can say I feel positive." "In a match, you appear in a different avatar. What you did before isn't on trial... only the 12 games you play. So I'm not really giving too much importance to his play (earlier in the year)," he further added. But Carlsen's downtime -- whether planned or not -- has given Anand a few clues on how to go about beating the Norwegian. 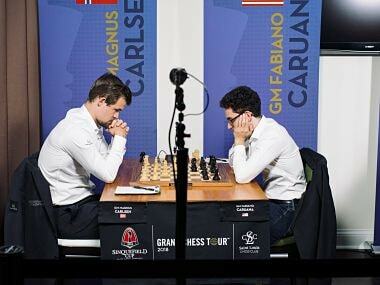 And the biggest clue, in a sense, is how Caruana fights Carlsen's 'strong end game' with incredible preparation. While Anand's thoughts on the matter were a little cryptic, it is clear he has something up his sleeve. "Ask me after Sochi. Fabiano and I play for the same German league, so we have met a few times," said Anand. And that brings us to the venue. Sochi is a far cry from Chennai. Carlsen had a problem with it, Anand didn't seem to care. 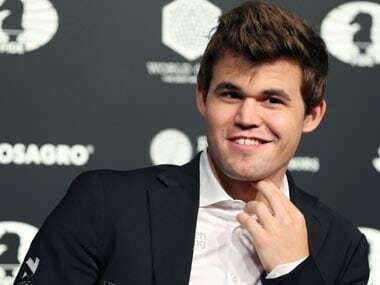 Some have even attributed Carlsen's middling year to issues he had with the venue. But in a sense, Anand too would be glad not to be playing in India. The pressure of playing at home last year round was immense. Every little move was followed by millions and criticised. It was probably the most attention he has ever been at the center of. This will be very different. 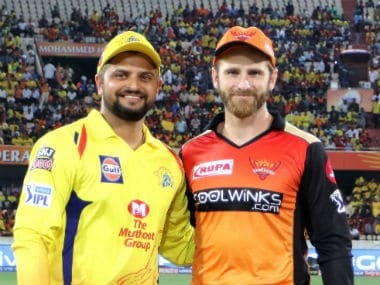 "Well, I played badly in Chennai and I didn't need anyone to tell me I was playing badly so I didn't really care too much of what was being said," said Anand. "Funnily enough, I didn't even know it (arguments over the Sochi venue) was happening. I got to know much later that there was some issue when I was at Bilbao. So I wasn't aware about what the issue really was." A major part of any World Championship match is preparation. It is incredibly intense and players often go to great lengths to not reveal their seconds. Anand's preparation last time round was very intense -- running, swimming, cycling, losing weight and of course, a more than healthy dose of chess. "Before each championship, I have always done a lot of physical training and 2013 was no different but I guess it was talked about more. I have been keeping a strict physical regimen. You never really switch off," said Anand. "There are times, you've been at a safari and looking at a lion and you think 'Of course, bh4 is the key move' and then you look back at the lions and then enjoy it. You are always have like two cores running." "The Championships are always a mix of mental, physical or tactical challenges. I don't think any one poses the biggest challenge but keeping all three sharp till the end will be vital," he further added. Still there is always the questions -- why come back, why risk it again? "You play for yourself mainly but that wouldn't be there if you didn't look at chess passionately. Sometimes you think you know it all and then one move is changed and your whole understanding shifts," he said. And with that understanding, the expectations shift too. "I never sit and think 'what are my expectations' or put a number to them. I just go thinking what to play in the first game."